New Connections Communication Services, Inc.About Us - New Connections Communication Services, Inc.
Plans starting as low as $29.00. Call for quote. For almost 40 years, it has been our mission to offer an affordable, efficient telephone answering service to medical, business, and government offices. We are committed to providing exceptional value to our clients through a proven combination of the best modern technology; traditional customer service values; and local, courteous, professional telephone agents. Our company is built on a foundation of four core principles: Accountability, Accuracy, Dignity, and Efficiency. These values are woven throughout every aspect of our business. They are taught to each new employee, are demonstrated in our daily work, and guide every decision made by upper management. More than just ideals, each of these values is given specific meaning and application in the work of all employees. We take pride in our work, and we expect the best from ourselves. We stand behind our commitments, and we live up to our promises. We want clients to feel they can accept us at our word and count on us to deliver the quality of service they expect. We are a detail-oriented business and take care to ensure that all work is performed with a high level of attention to correctness. This applies to documenting information collected from callers, to following the instructions given by clients, to reaching the correct person for urgent calls, and to ongoing account edits and maintenance. We know that we will not develop long-term relationships with clients or employees unless we treat each person we encounter with the respect and courtesy they deserve. This means being considerate, showing empathy, and eagerness to help when on the phone with callers, being honest and fair when working with clients, and being supportive and nurturing with employees. 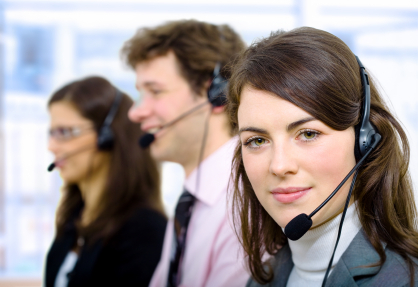 We understand that callers do not want to wait and no one likes to be put on hold. Likewise, we know that clients want timely attention when contacting us. We are committed to providing prompt service to callers, as well as fast response times to inquiries from clients and employees. In summary, we are dedicated to putting people and relationships before profits, respecting the trust that our clients and their callers place in us, and recognizing the worth of our employees.